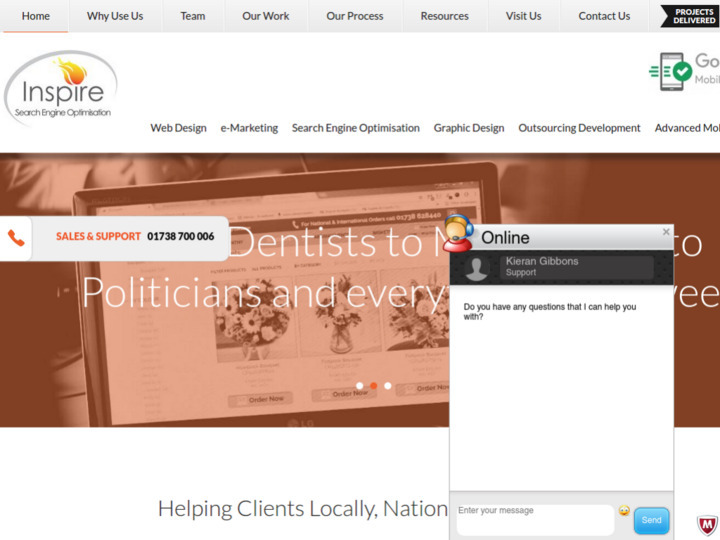 Inspire It Services Ltd was founded to help the small, medium and large businesses to get online presence better. We are based in Perth, Scotland. We design the website of our client as per their needs not ours. We respond to the demand of our clients. David Dwyer and Martin J Smith are the founders and directors of Inspire Web Development. We offer Web design, e-Marketing, Search Engine Optimization, Graphic design, Software Development, Outsourcing, Penetration testing and Digital Forensics. We have just completed a training session on how to manage content conducted by Frazer McMillan. It was very well presented and easy to follow and all my questions were answered in am uncomplicated way and did not use 'teccy' jargon which just suited my learning style. Inspire IT has provided Blackhills Clinic with a great customer-focused service and we have built up a good working relationship. Inspire are willing to listen and take on board our needs while at the same time provide very practical advice. This allows us to make confident and cost-effective business decisions on website development and would recommend Inspire to any company for web development, knowing that their business internet presence is in safe hands. I work with Inspire fairly often. These guys are first class and know their stuff, they will give you great advice, great service and great value! You look at the rest and use the best! Really good bunch of guys. They were very helpful and explained exactly what I needed to know. I would recommend Inspire to anyone. Professional, friendly service. The team at Inspire are great at simplifying everything and providing assistance whenever needed. Very happy with the finished product and website has received positive feedback from various users. On behalf of R.W.Bell Building Services I would just like to say that it has been a pleasure to deal with a company who respond so quickly and efficiently to emails, telephone calls and multiple requests. 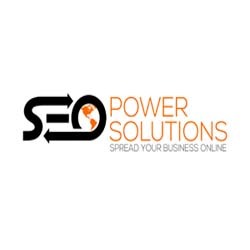 Excellent customer service and more to the point creating a website better than we envisaged. Nothing has been too much trouble. Do not hesitate to get in touch with Inspire, you shall not be disappointed. Having spent the last few months working closely with the team from Inspire I can only say good things. They really want to know who you are and what your business is about - they want the best and they give the best. I can not recommend these guys enough - if you want a new website, and don't want it to cost you and arm and a leg, and want professionalism, then these are the people to go to. Just finished our 6 monthly site review with Inspire. It was really helpful as we've changed staff and was great to go through what turned into an extra training session. There is lots going on in the world of the web and its great to know that we've someone we can trust and work with to keep us up to date. Very knowledgeable, professional, and quick to respond. Whenever we have need of Inspire we know we can rely on their swift and courteous service. I've been with David and Inspire for over 5 years now. I'm delighted with the level of service and cannot recommend highly enough. Big thanks to Inspire for all their work on the new site for Lorna Davies Florist. The service was top notch and we're delighted with the new website. Feedback from customers has been excellent and orders are coming in. We would recommend Inspire without hesitation. Excellent service, very personal, very in-depth. I've had a website now for 2 years and in the last 2 months I've really had my eyes opened to both how important a "strong" web presence is and how crucial it is in this day and age. The team down there are exceptional. Their patience with our questions and indeed the levels of understanding have helped us to help ourselves. For a novice like me, this was all the assistance we needed. Since then, the support has always been at hand. I cannot recommend Inspire more highly.